Procured mother tubes or hollows from leading suppliers from India & Abroad are directed to a thorough chemical analysis and strict physical/mechanical tests. The mother tube are subsequently cold-drawing with determined precise and force. The OD of the tube is there by reduced by tension through a die and a fixed or floating plug, to get a precise mechanical dimensions and a uniform surface finish. These tubes are then subjected to various processes like Pickling, Passivation, Hydro Testing, Polishing, Inspection, Marking before packing and dispatch. 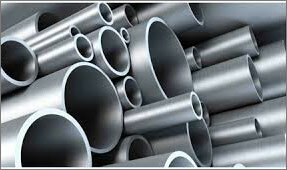 ASTM, ASME, DIN, NFA, JIS etc. Give us a call today to get all the information, +91-9819591024, If you're looking to buy or sell Arvind Seamless / Welded Pipes Tubes, we can help., call to our Distributor in India or mail us to info@neelconsteel.com for instant free quote of Arvind Seamless / Welded Pipes Tubes. 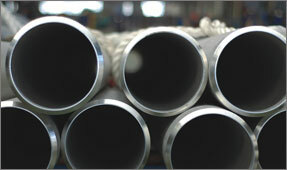 Neelcon Steel Wholesale Various High Quality Arvind Seamless / Welded Pipes Tubes in all shapes and sizes and with any specifications that the clients, More then 1500 Worldwide.